Will Obama bow to the inevitable in Afghanistan? IN THE next few weeks or even days, President Barack Obama will announce whether he is going to up the ante in Afghanistan or begin the process of winding down America’s involvement. Much hangs upon that single decision. The war in Afghanistan began in October 2001 when the Bush Administration launched Operation Enduring Freedom. The objective then was to hunt down Osama bin Laden and destroy the al-Qaeda network that was based in Afghanistan. It was intended to demonstrate a clear and decisive response to the 9/11 attacks. It is now clear that the Bush Administration botched that job. Osama escaped into legend while Bush went chasing after imaginary weapons of mass destruction in Iraq. The Taliban regrouped and is now strongly reasserting itself. Somewhere along the way, American and Nato objectives also morphed into more grandiose plans to transform Afghanistan into a modern democracy replete with universal suffrage for women. It has been said that Americans never think that history applies to them, and therefore it has nothing to teach them. It may well be, as George Santayana remarked, that those who cannot learn from history are doomed to repeat it. If there is one thing that the history of Afghanistan teaches us, it is that Afghanistan is a hard country to subdue. Others have tried it before and failed miserably. None tried harder than the former Soviet Union which deployed almost 110,000 troops in Afghanistan. Unencumbered by Geneva convention niceties, the Soviets unleashed a brutal offensive to break the back of the Afghan resistance. After nine years of war, and more than 14,000 Russian casualties, they gave up and went home. On the eve of their withdrawal, one of the Russian commanders mused that perhaps if they had had 500,000 troops, and if they had been able to shut down the infiltration routes from Pakistan, they might have won. The Americans of course insist that this time it is different, that they are there to liberate the Afghans; unfortunately for them, the Afghans seem to make little distinction between occupiers and liberators. They have an aversion to infidels like no other nation. As it became clear that they could not win in Afghanistan, the Soviets also desperately sought an exit strategy. They hoped they could hand power to an Afghan state built in their own image. They built up the Afghan army to a force of more than 300,000 men. It collapsed almost as soon as the Russians withdrew. Listening to all the arguments now going on in the United States about an exit strategy, including the emphasis on building up the Afghan army and strengthening national institutions, one cannot but wonder if history is about to repeat itself. 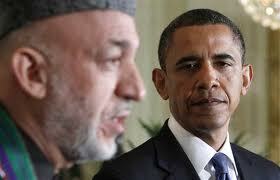 Finding a way out of the Afghan quagmire will not be easy especially as America is now a very divided nation. Every issue, whether it is gun control, healthcare, economic recovery or foreign policy, quickly fractures along ideological lines. The debate on what to do in Afghanistan is no different. The politicians are divided over ideology. The generals are divided over strategy. And the American people, for the most part, are increasingly weary of it all. Other coalition partners are weary as well. The Dutch will withdraw their forces from Afghanistan in 2010 while Canada will follow suit a year later. In Britain, the Netherlands, Germany, Italy and Poland, an overwhelming majority of people want the troops home, and home quickly. And then there is the huge cost of the war itself. Total US spending on the Iraq and Afghan wars is expected to surge past one trillion US dollars by next year. The United States is literally borrowing from abroad to finance this war; it cannot be sustained especially given the recession. Whether Obama decides to send in more troops or not, there is a realisation now that the goals in Afghanistan must also be more realistic, and limited. After all, it makes no sense to occupy a whole nation, and a feisty and rebellious one at that, just to neutralise one man. In any case, al-Qaeda itself has passed its prime. The slaughter of thousands of Muslims themselves at the hands of al-Qaeda and al-Qaeda-inspired groups, has generated both resentment and revulsion among the very people that Osama had hoped to win over. Overall, al-Qaeda’s confrontation with the West has been terribly disastrous and disruptive for the Muslim world. What lies ahead globally might be a period of uneasy truce between Islam and the West, a period where ideas, propaganda and tangible economic progress on the ground will matter more than guns and missiles. In the end, the people of Afghanistan will have to decide what kind of a country they want. If they choose to descend once again into the abyss of anarchy and warlordism, there is nothing the rest of the world can do about it. It is not resignation but realism. America and Nato just do not have the stamina, the treasure, the political will or the moral conviction to do what it takes to change a country like Afghanistan. And neither should they. Obama’s choice then is really whether to prolong the inevitable or bow to it.